Valerie grew up on Long Island, and graduated from Finch College in 1963. She worked as an advertising editor and led the capital campaigns at the Fieldston School before joining Mount Sinai Medical Center in 1983. At Mount Sinai, Valerie coordinated the Surgical Family Waiting Room for 12 years before joining Mount Sinai’s Auxiliary Board in 1995. Valerie has served on several influential committees as a member of the Board. She was the liaison for Caregivers and worked on programs dealing with domestic abuse. More recently, she founded Woman-to-Woman, a program renowned for its commitment to providing support and counsel to women undergoing treatment for gynecological cancers. 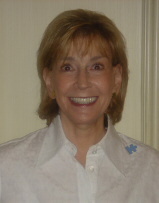 A strong advocate for the autism community, Valerie is married and has three children and five grandchildren. One of her grandchildren has autism.